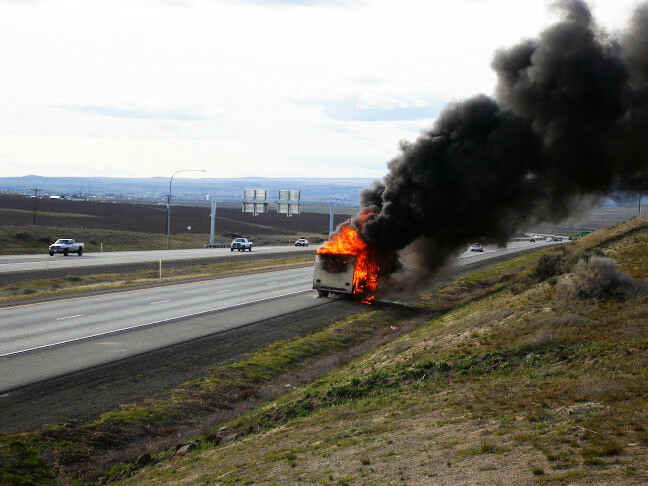 After the motorhome fire, Ryan McPhun found his Fender Jazzmaster guitar on the grass verge – its case was burnt to ashes, but the guitar was still in one piece, with light burns down either side. He took the guitar on the band’s subsequent UK tour. During one show, he enthusiastically slapped the end of the guitar against a cymbal, but the nose of it was weak from partial burning and broke off. A cheap replacement had to be bought from a local music store the next morning so the tour could continue (though he continues to use the Jazzmaster to this day). The band’s first music video was done for free by Michael McFadden to replace the NZ On Air funded video (for ‘Hard To Let You Know’) that the band had been filming on tour before the camera was burnt to ashes during the RV fire. 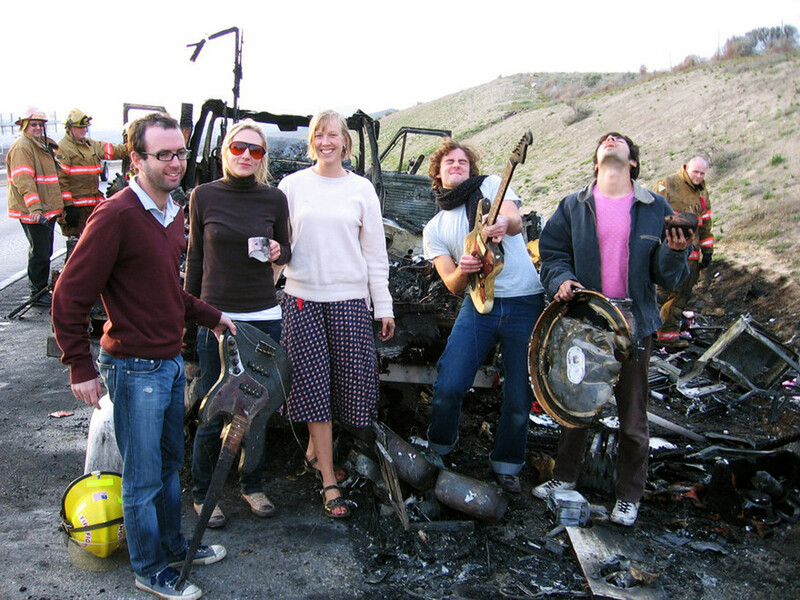 Their other early music videos were similarly budget affairs – the most memorable being ‘Sleep In The Garden’, which showed the rest of the band pelting Ryan with food while he mimed the song (Chris Pryor, the director of The Ground We Won, etc, edited the piece to remove some of Ryan’s laughing). More professional videos were created for the second album thanks to a supportive friend, Marco Viduarre, who worked at Weta Digital and also let the band stay at his place in Wellington every time they passed through (he made vids for ‘Tane Mahuta’ and ‘There Are Birds’). Ryan McPhun has also toured as the drummer for Architecture In Helsinki and band member Gus Franklin played trombone on Sea Lion. He also joined McPhun in The Ruby Suns for an Australasian tour, supporting Of Montreal in 2009. Amee Robinson now plays in the two-piece, Pesk. Edward Castelow continues to release music as Dictaphone Blues and plays alongside Gareth Shute in garage rock group, The Conjurors. Mark Stebben joined Tourist. Alastair Deverick created his own group, Boycrush, as well as playing with Neil Finn and Lawrence Arabia. Bevan Smith’s latest project is Introverted Dancefloor. Imogen Taylor has gone on to become a well-known visual artist, represented by the Michael Lett gallery in Auckland.